Superman/Batman Apocalypse- review | The Daily P.O.P. 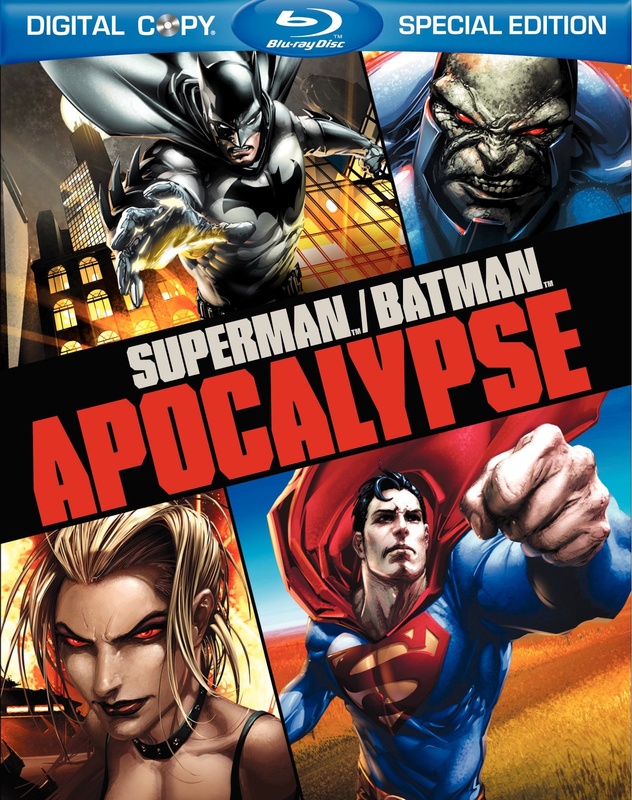 Based on the Superman/Batman comic book series by Jeph Loeb and Michael Turner, Superman/Batman Apocalypse is the first of the DC Animated films that is actually a sequel. Following the events Superman/Batman: Public Enemies, this project pays homage to the style of the late Michael Turner in much the same way that Public Enemies took up the distinctive visual style of Ed McGuinness. The Superman/Batman Apocalypse comic re-introduced Supergirl, a character that has been plagued by DC Editorial since 1985’s Crisis on Infinite Earths killed her off. A delightfully innocent creation of Otto Binder and Al Plastino in 1959, Supergirl was the man of steel’s cousin from the Kryptonian metropolis Argo City which had somehow survived Krypton’s demise only to find a new destruction from kryptonite meteors. Supergirl was an immensely popular character, but as DC Comics found itself losing readers to Marvel Comics and independent markets, they became determined to reverse their image as a publisher of fanciful material and decided to make specific changes to their comics including the reduction of Kryptonian survivors from many to one. There was a massive house cleaning project that altered the landscape of the DC Universe, killing off many beloved creations including Supergirl. In the revised continuity, Kal-el was the sole survivor of the doomed planet Krypton and Supergirl was no more. In the years that followed, other writers attempted to bring Supergirl back into the DCU and somehow adhere to the rule of only one Kryptonian survivor. The result was a tangled mess of ideas that ultimately resulted in several new characters who were removed from comics one after the other until DC decided to modernize the initial Binder/Plastino concept. This may sound incredibly complicated (because it is) and it is important to understand the complexities of this character as the Superman/Batman Apocalypse animated movie attempts to summarize them into one story. It’s overly complicated, but given its many challenges Superman/Batman Apocalypse is a great film. To begin with, Tim Daly and Kevin Conroy are back as the voices of Superman and Batman. I am hoping that if any other Superman/Batman animated films are made, this pairing is repeated as it makes for a feeling of continuity. 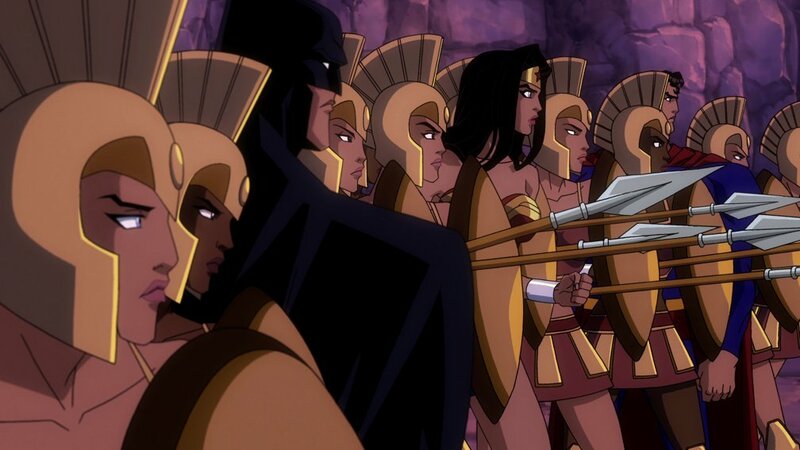 The inclusion of Wonder Woman feels like far too much at first but in the end makes for perhaps the amazonian’s finest animated outing to date. A shower of meteorites falls to the Earth in the wake of the successful destruction of an asteroid in a previous adventure. One of the fragments crashes into Gotham Harbor where Batman attempts to investigate but finds that the survivor of the crash is hardly in need of assistance. The stranger takes control of Batman’s sea craft and nearly destroys much of Gotham City before Superman arrives and manages to communicate with the confused alien in Kryptonian. Taking her back to Superman’s Fortress of Solitude, the pair of heroes struggle to figure out what to do with the alien named Kara Zor-El. Batman is especially concerned as her body is absorbing sunlight at a far more efficient rate than Superman can, making her far more powerful and dangerous than the mightiest of Earth’s heroes. He immediately suspects that she may be an unwitting agent of Superman’s enemies. Even if Batman is wrong, Kara still poses far too great a threat to simply let her find her own way. When Superman attempts to integrate Kara into human society through a bizarre shopping montage, he is halted in his tracks by Wonder Woman who, along with Batman, is concerned for Kara’s fate. All three agree to let Wonder Woman take Kara to Themyscira (formerly Paradise Island), where she will undergo Amazonian training. In the midst of her training, we discover that a character named Harbinger has been having tragic visions of Kara’s future. Before this can be dwelt upon, the island is attacked by clones of Doomsday operating for Darkseid. The plot is bloated from the beginning with a radio program attempting to fill in details that establish the state of the world that the film is set in. It’s not needed and in fact much of the first third of the movie should have been either trimmed or removed entirely. Superman/Batman Apocalypse doesn’t really get going until after Darkseid is introduced and until that point there are various characters and setting thrown about that made me wonder if my purchase of the film would be a wasted affair. From Gotham City to Metropolis and even Themyscira, the focus is shifted numerous times and we are even introduced to Harbinger, a character who is suddenly very important yet even she states that she is an outsider, hinting at a complicated back-story that is thankfully avoided. However, after Darkseid attacks Themyscira to abduct Supergirl, things get interesting and this film finds its pace and tone all at once. Superman, Batman and Wonder Woman who have been unsuccessfully trying to shepherd Kara decide to attack Apocalypse with the assistance of Big Barda who has been hiding out in suburbia but reluctantly agrees to guide the trio on a rescue mission. Like Superman/Batman: Public Enemies, the biggest strength of the Apocalypse film is the incredible action sequences. From the army pf Doomsday clones to the amazing three-pronged assault of Apocalypse itself, this animated feature has action to spare. Newcomer Summer Glau as the voice of Supergirl is a little awkward but given the challenges that she faces, the actress does manage to carve out a compelling character for herself. By contrast Andre Braugher (of Homicide fame) as Darkseid is just no comparison to Michael Ironside who voiced the villain in the Superman and Justice League cartoons. If you are a fan of the Batman, Superman and Justice League animated films, make sure to check this one out. This Post was posted in Batman, cartoons, Superman and tagged Superman Batman dc comics animated, Superman/Batman Apocalypse. Bookmark the permalink. It’s a pretty good double feature, just break in the middle for a meal and possibly a nice bottle of Chimay. Pingback: Green Arrow is Showcased in his own animated short! « The Daily P.O.P. finally got around to watching Public Enemies and now Apocalypse. It’s like night and day comparing the two. Public Enemies was a huge letdown… so much so, in fact, that it had me put off watching Apocalypse. Now, having finally watched it… wow. Apocalypse blew me away. I’m fairly certainly I enjoyed it the most out of all the DC animated films I’ve seen. Hmm… any chance of you listing your top DC animated films? and are there any Marvel films that compare? The ones I have seen were rather terrible. Glad you liked Apocalypse. I’ll have a think about a list but I agree that Marvel’s efforts have paled to the DC films.